This salad is my new love. We met through our mutual friend, Polly, who brought it to a holiday party my family and I attended recently. I have to admit that it was not love at first sight. My initial impression was "Whoa! That's a lotta roughage" but before the first bite had even made it all the way to my tummy, we were as thick as thieves. Polly's husband, Wayne, affectionately refers to this salad as "nature's barbed wire" and while I can't deny that you'll fulfill your daily fiber requirements within about three mouthfuls, I assure you that you'll be going back for seconds. And probably thirds. If there's any left at that point, that is. 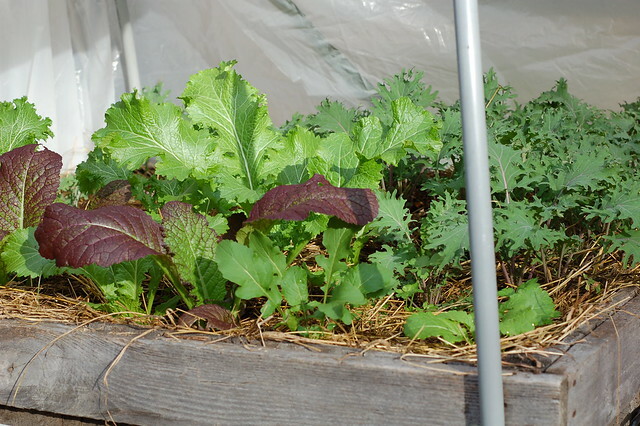 The kale I picked from our mini hoop house (above) was not Tuscan but it tasted good, nonetheless. Maybe this salad is even better with the Tuscan variety - feel free to experiment and let me know what you find. The first step is to make the dressing. You want to give it a chance to let the flavors meld and develop a bit -- probably best to make it half or even a full day in advance if you can. 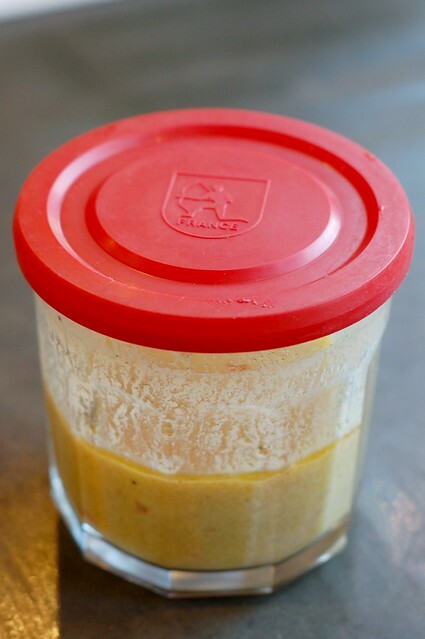 With that in mind, I made a double batch of dressing because I know I'll want to eat this salad again very soon...) I like to make dressing in one of these glass jam jars and LOVE that you can buy these cute, little, red Luminarc lids to make it easy to store things in them. 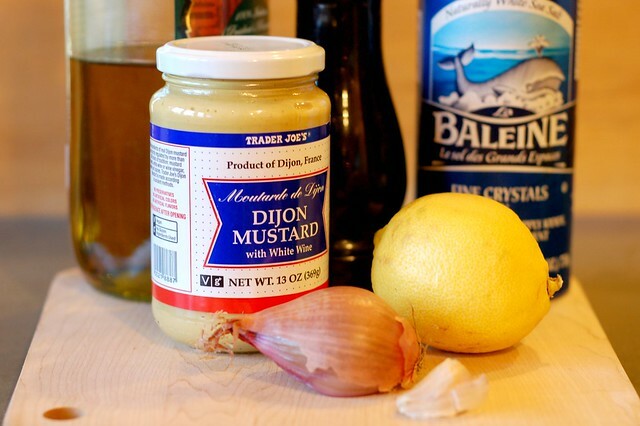 Once, the dressing is ready, you can get down to business with the rest of the ingredients. I used my handy dandy little Kyocera mandolin to shave the Brussels sprouts up nice and thin - as usual, it worked like a charm. Don't skimp on the nuts, cheese or dressing. 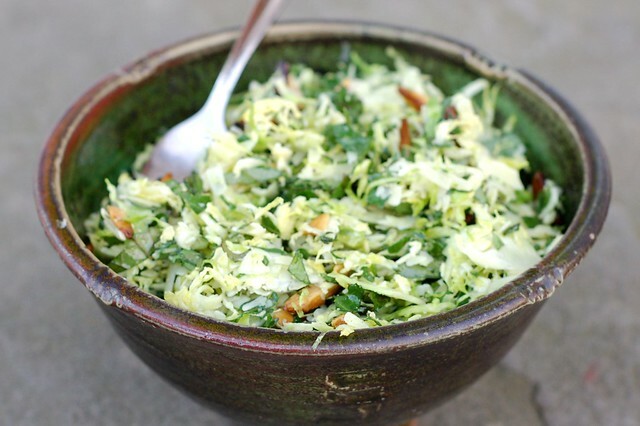 They provide important rich, nutty, crunchy complements to all the hearty greens and the acidity and bite of the dressing. This hearty winter salad that eats almost like a meal. The recipe is lightly adapted from the Bon Appetit original. Hi there, yes, they're both raw. I wish that you had a print friendly version of your recipes, it would make it easier for me to print the recipes I want to try. Hi Debbie, I wish I did, too! unfortunately, there's no easy way for me to create one that I know of. 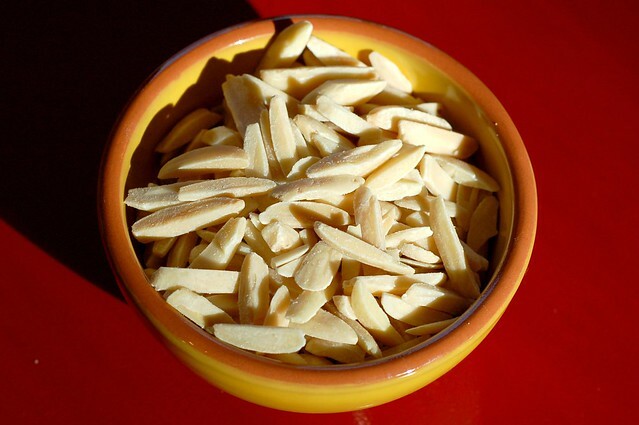 BUT it is easy for you to print them - just copy and paste the recipe only into a word doc or an email and hit print. It's what I do with all the recipes I find online since I don't want all the photos, etc., in what I print. Hope that helps. Thanks, that's what I've been doing and will continue to do so. Keep the great recipes coming in 2012!! Happy New Year to you and your family. That's what I've been doing and will continue to do so. Thanks anyway. Keep the wonderful recipes coming in 2012. Happy New Year to you and your family. I found this recipe in the Bon Apetit magazine and made it for thanksgiving. It is a fantastic combination. yum! can't wait to make this! btw i'm back at my old blog address, had to ditch wordpress, too annoying! sorry to hear that wordpress did not turn out for you, Kirsten. I'll head back to your old address. 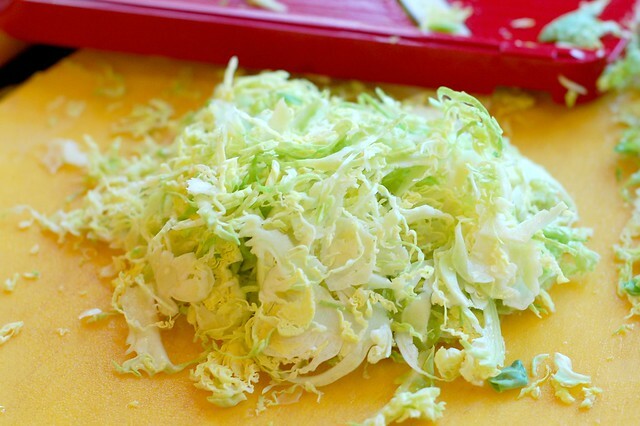 Should the salad be dressed right before serving and if you aren't eating it all in one sitting, store the greens and dressing separately, or is it like a cole slaw or potato salad type recipe where the veg sits in the dressing and kind of marinates? I belong to a CSA in Vermont, and after a long winter we're finally getting greens in our baskets, including kale. I tried this recipe last night, it's delicious! Five stars. 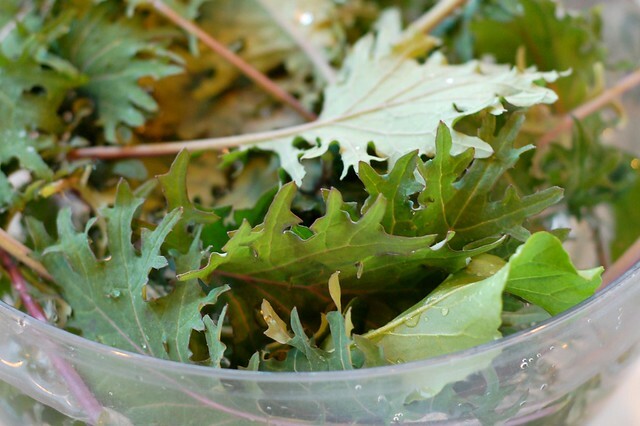 This recipe is a must try as the kale in my garden is quite abundant. What do you consider a `bunch`` of kale? Approximately how many leaves? Would love to try this tonight, thanks. Hi Francine, good question! I think it will vary some depending on what variety you've got in your garden and how large the leaves are. But probably somewhere between 12-15 leaves, I would think. 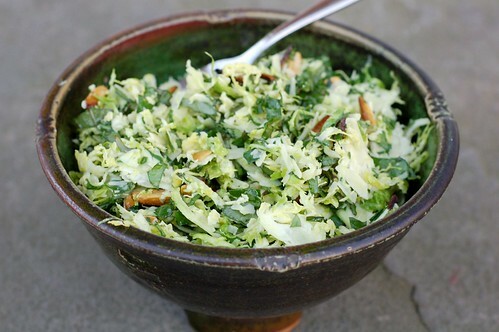 I can't stand Brussels sprouts so what would you recommend as a good substitute? Chinese cabbage?